Summer feet from Heaven – Gentle Callus Peel & Luxury Pedicures! Summers officially started so that means lots of pretty sandals and open toe shoes. If your feet need a little extra tender loving care we have just what you need with our brand new Callus Peel Treatment or for the ultimate treat a Luxury Pedicure. 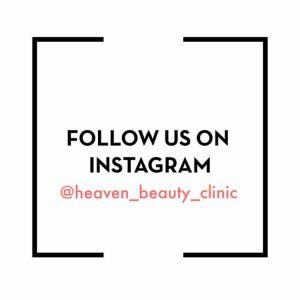 Introducing brand new to Heaven Callus Peel Treatment – this is a four step treatment that gently yet effectively removes hard dead skin leaving visibly soft smooth feet. Skin softening patch is applied to feet, followed by gentle removal of hard skin, feet are buffed and a rich moisturising cream is applied. This treatment costs €28 and during June we are adding a Free Eyebrow Shape with every Callus Peel Treatment. Add Vinylux Polish for only €12 extra. Offer valid 1st-30th June 2014. Why not treat yourself to a Luxury Pedicure, the ultimate treat for your feet, sit back and relax while our therapist soaks your feet, followed by an invigorating foot scrub and application of Callus Peel to remove any trace of hard dead skin. Feet are moisturised and to finish Vinylux Polish in colour of your choice is applied. €45 or treat a friend at the special price of €80 for two Luxury Pedicures (Appointments must be booked & taken at same time). Offer valid 1st-30th June 2014.